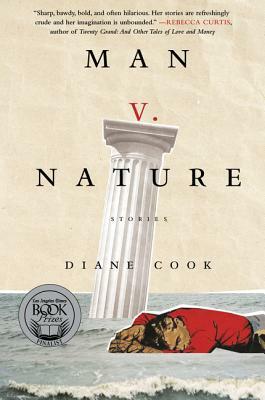 Diane Cook's fiction has been published in Harper's Magazine, Granta, Tin House, Zoetrope, One Story, Guernica, and elsewhere. Her nonfiction has appeared in the New York Times Magazine and on This American Life, where she worked as a radio producer for six years. She earned an MFA from Columbia University, where she was a Teaching Fellow. She lives in Oakland, California. — Ira Glass, Host, "This American Life"
— Huffington Post, "Best Books of the Fall"
— Miranda July, Goodreads "Good Minds Suggest"
— New York Times "Paperback Row"
— Buzzfeed, "5 Great Books to Read in December"
— Flavorwire, "28 Feminist Writers Recommend Books Every Man Should Read"
“When people ask me the desert island question, I usually say this is the book I’d bring...Her stories about survival amid the brutalities of nature are bracing primers for the apocalypse. — San Francisco Weekly, "10 Bay Area Women You Should Read Now"